Br Green pair nos. 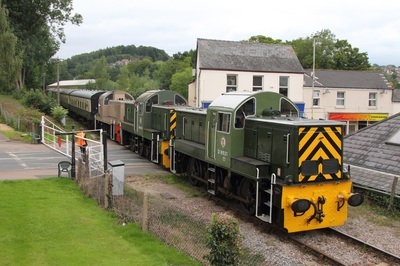 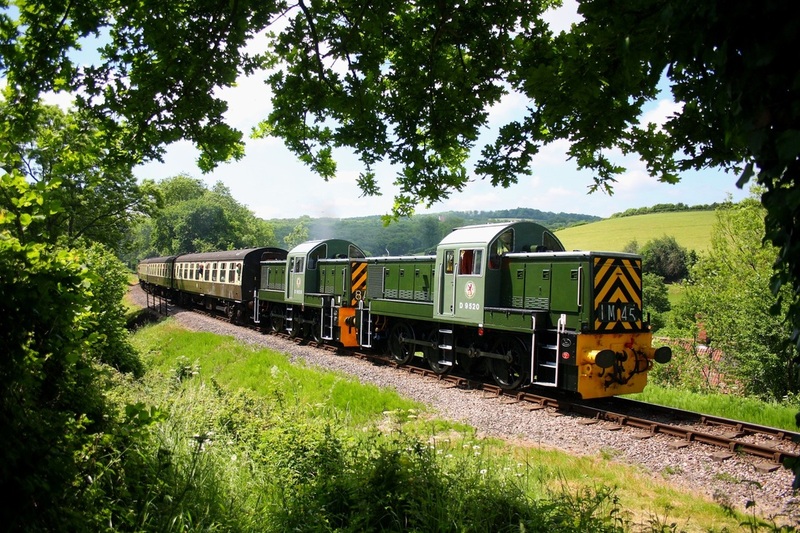 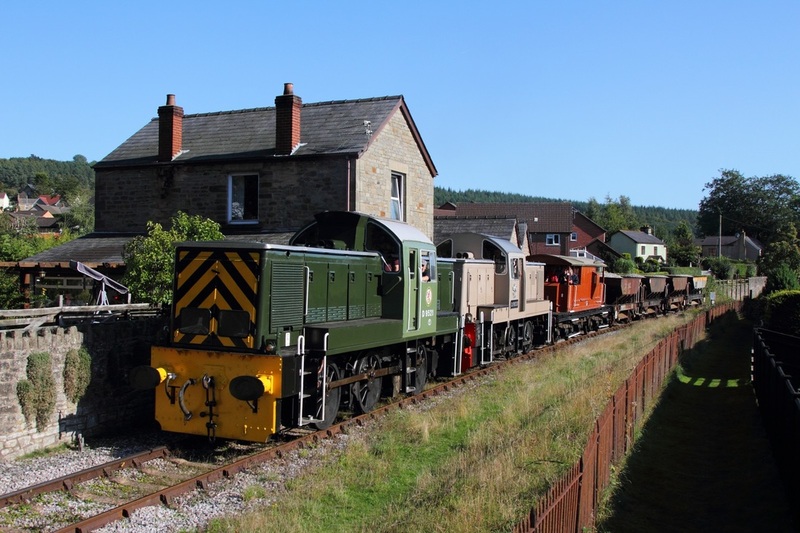 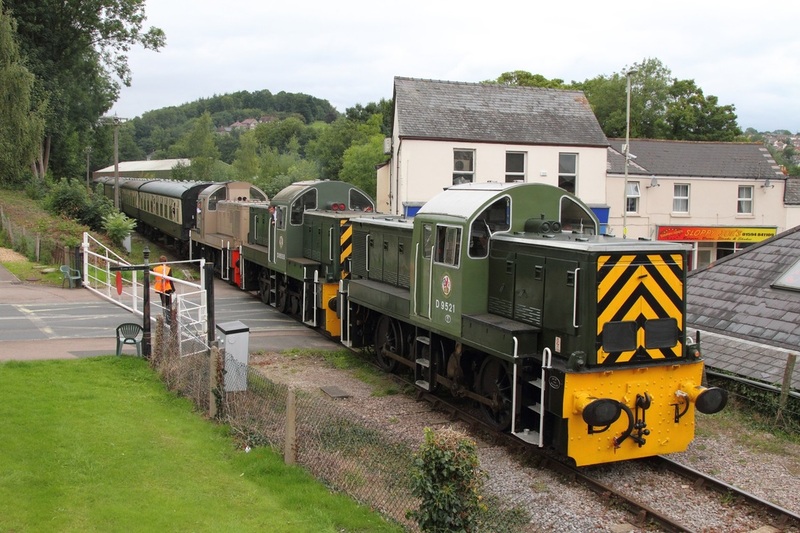 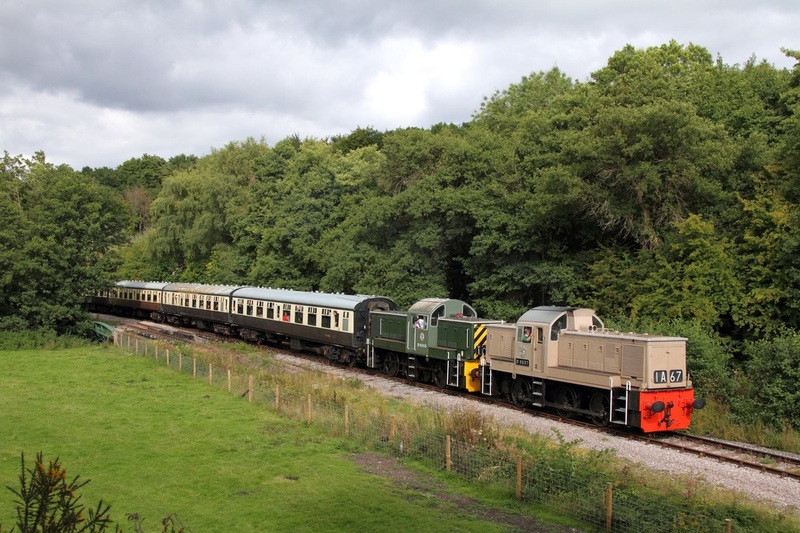 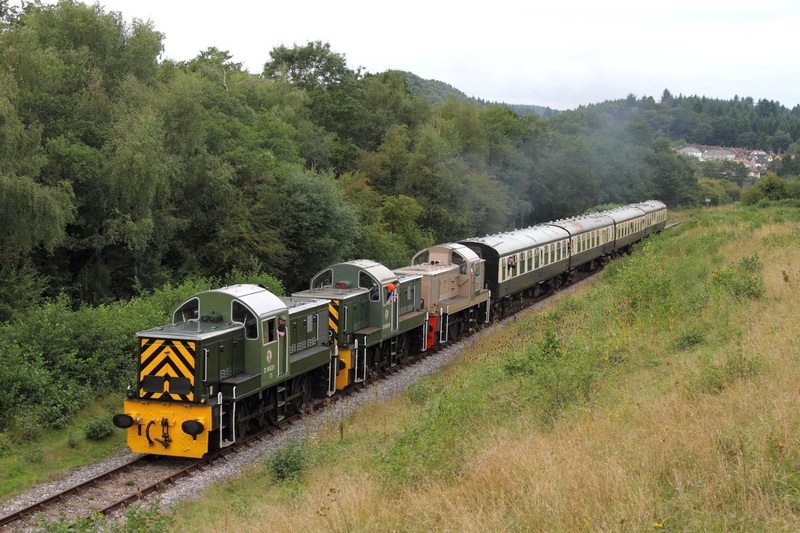 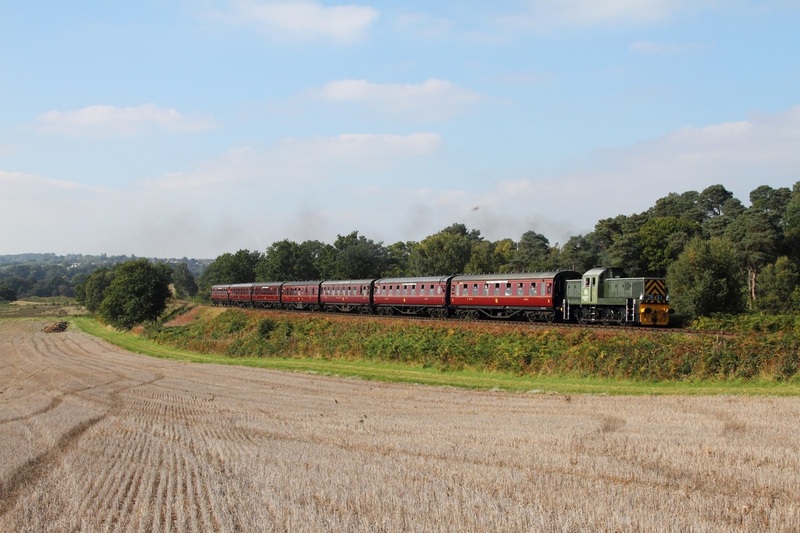 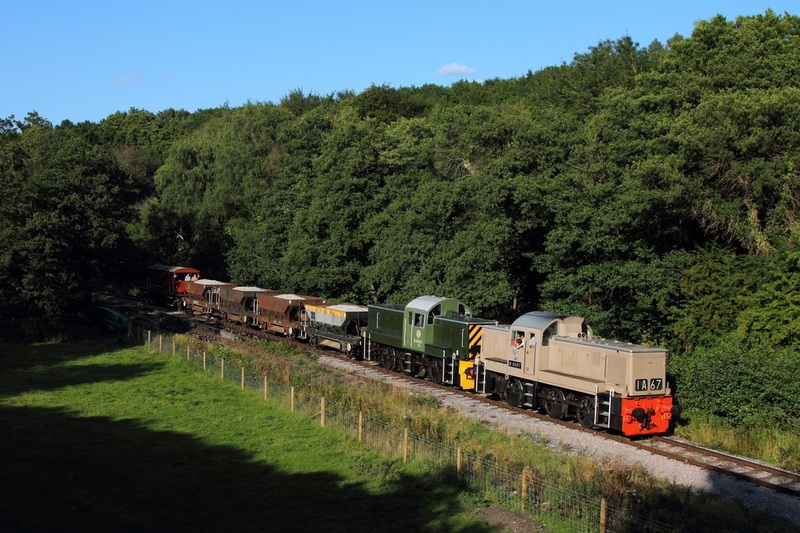 D9521 leads D9555 on the 1526 Parkend to Lydney junction at Whitecroft on the 6th September 2015. 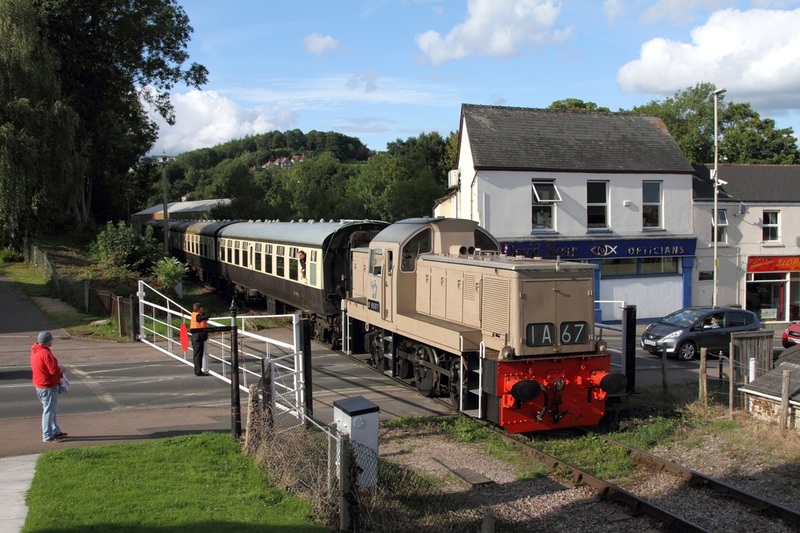 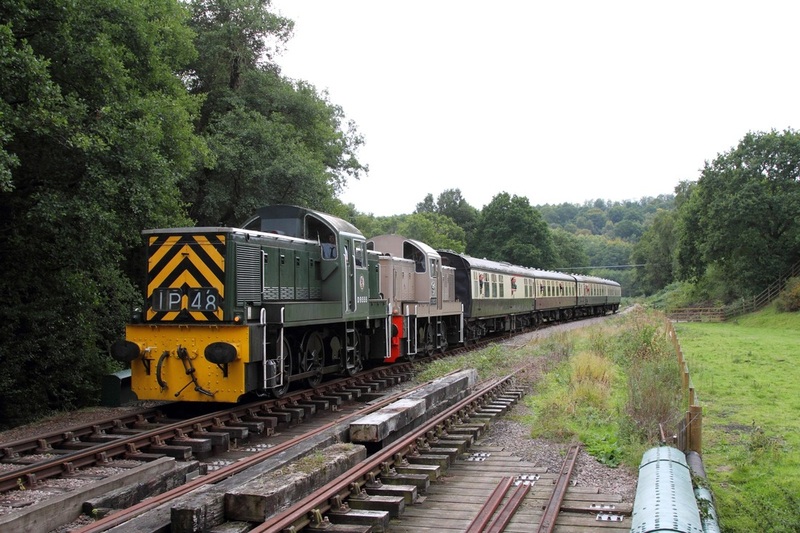 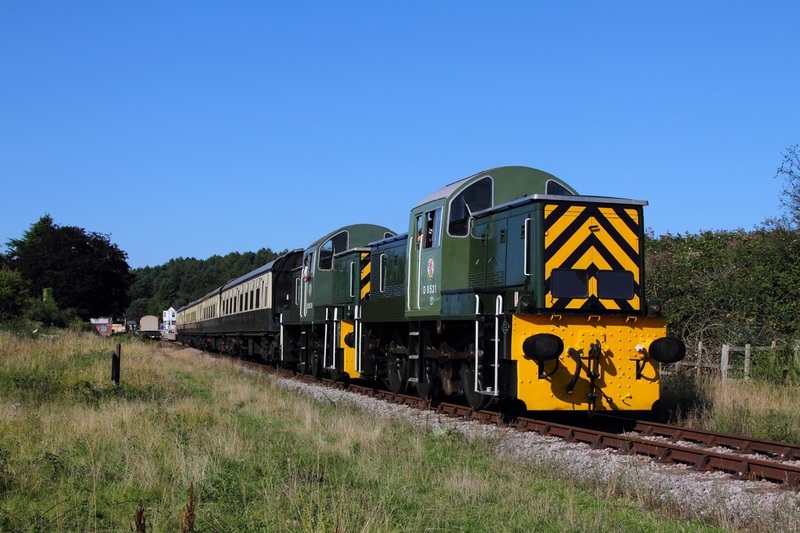 Br Green D9531 visiting from the East Lancashire Railway for the Severn Valley Railway's Autumn Diesel Gala, pulls the 1206 Bridgnorth to Kidderminster at Foley Park on the 2nd October 2015.